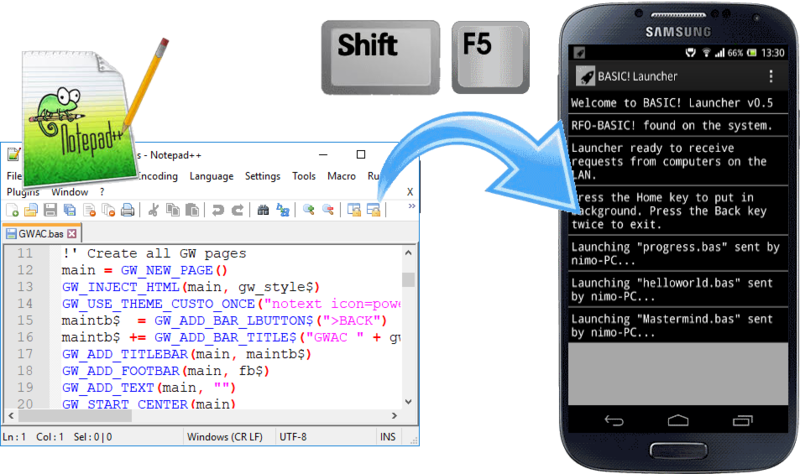 Empower your Android device with the RFO-BASIC! language. Use powerful dedicated tools to write, test and build your apps. Compile your RFO BASIC! 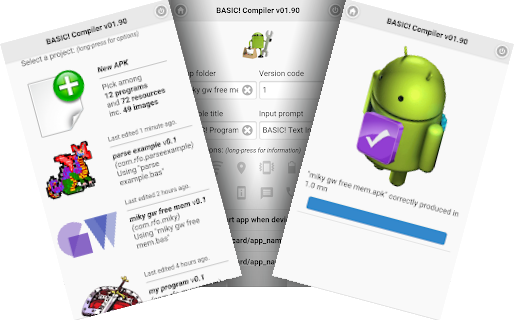 programs (*.bas) and resources into an APK, directly from your Android phone or tablet! Then share your APKs with friends and family, or even sell them on Google Play! Benefit from this compact open source library to create professional looking apps adapted to all screens in a very short time. Try the demo to see all possibilities, or look at the screenshots or a 12-line example here. 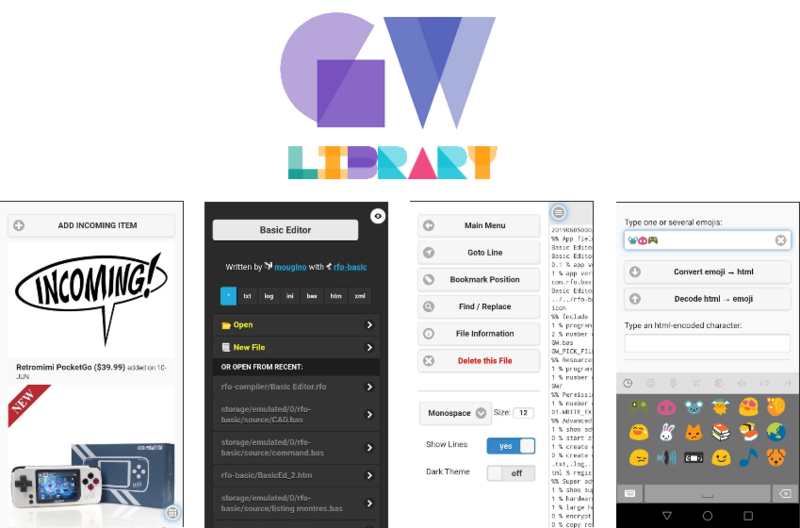 A cheat-sheet containing the complete list of GW APIs can be found here. 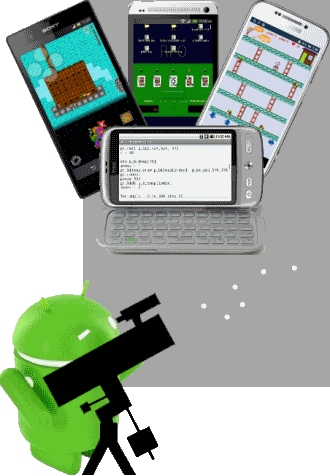 Use the comfort of your computer screen and keyboard to write your app then with a press of a key, run it instantly on your Android device! Coming along with the PC editor, install the WiFi agent on your Android device, put it in the backgroud then hit F5 in SciTE (Shift+F5 in Notepad++) and your BASIC! program will be automatically synced! 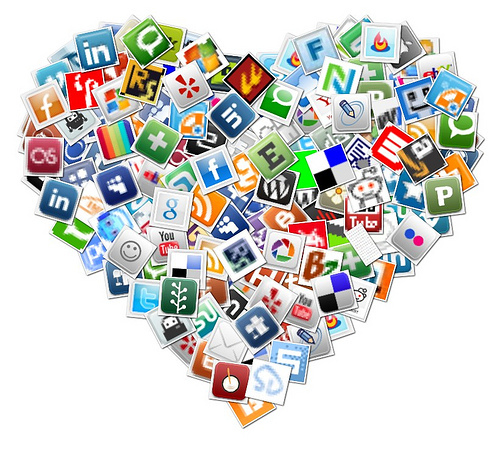 Share your app with your friends and family, or even sell it on Google Play in a few clicks! 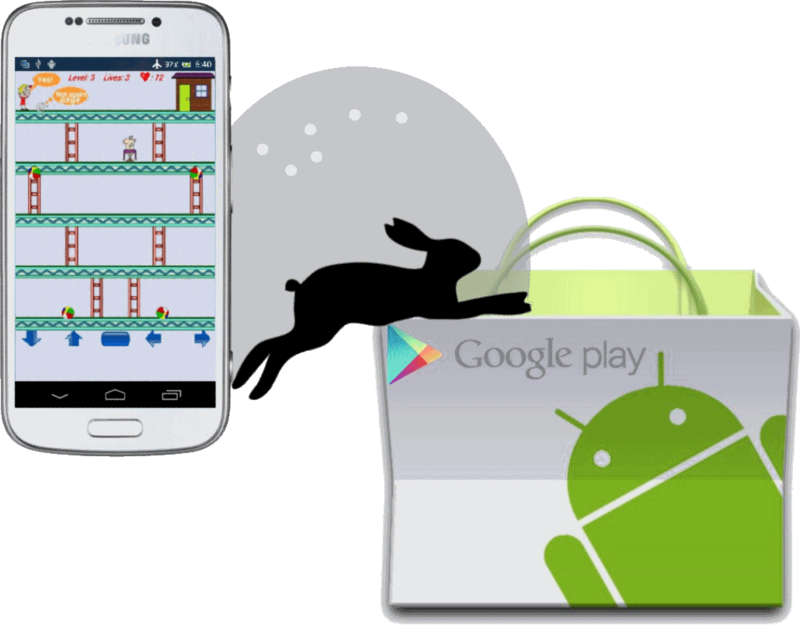 Targetted at beginners, making an Android app can't get simpler! Use the Quick APK WiFi agent to communicate over-the-air between your Android device and Quick APK on your computer. No ads, no donate popup, no embedded billing, no internet or other weird permission, just a local, very powerful, open-source editor. Includes support (menus and messages) for English, French, German, Spanish, Dutch, Greek, Russian, Chinese, and Japanese. Based on 920-Text-Editor by Jecelyin with many modifications.